During a square enix livestream, some details and information about Dragon Quest Builders 2, the new game released on ps4 and nintendo switch, have been released. The release date for Japan set for December 20th was announced during the live show. In this Dragon Quest Builders 2 20 minutes gameplay, which show the first 20 minutes of play, which will be set after the events of Dragon Quest II. In the second chapter of the saga, the cleric Hargon and the God of the Malroth Destruction were defeated by the descendants of the heroes, but a religious order that inherited their projects makes its appearance with the intent to uproot the Builders. 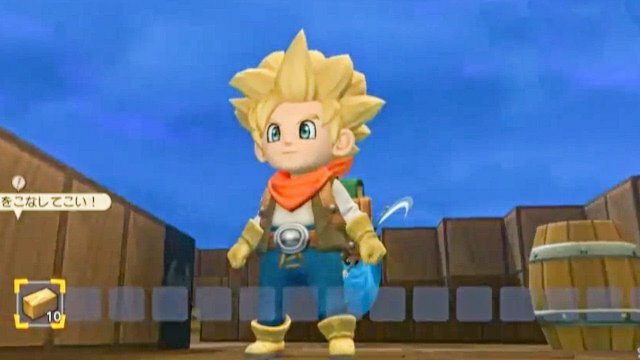 In this Dragon Quest Builders 2 walkthrough, we can see the protagonist in an attempt to escape from a prison on a ship, some dialogues between the characters and even some fights. This dragon quest builders 2 demo gameplay, as you can see from the characters on the screen, is played on ps4, but as we know dragon quest builders 2 will also be available for nintendo switches. The gameplay movie is taken from the official square enix livestream, but unfortunately the writing of the dialogues are in Japanese, so we have no way of understanding what the characters say on the screen, at the end of the video you can see a small trailer in cinematic, with the official release date.